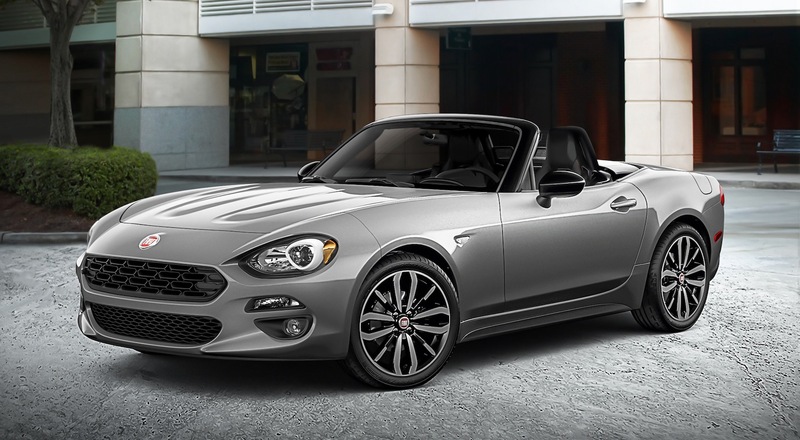 Fiat is ready for spring with the debut of the 2019 124 Spider Urbana Edition, which is going to be shown off at the New York Auto Show next week. The 2019 124 Spider Urbana Edition is based on the Classica model, but adds fog lights, Black Diamond 17-inch wheels with performance tires, dual bright exhaust tips, Piano Black exterior accents, and a Gloss Black finish on the front pillar bar bezel, seat-back pillar and mirrors. Inside it adds matte gray accents, Urbana leather/microfiber seats along with a wrapped instrument cluster hood and instrument panel. The Urbana Edition package adds $995 to the price of the 2019 124 Spider Classica models, which starts at $25,190.